Normally I’m obsessing over insta for any glimpses as to what the new collections might be, but this year I got to see for myself at New York Bridal Fashion Week. This is the first season the collection has been designed by Ash rather than her sister Brit, and there’s definitely a more romantic boho vibe which I’m totally on board with. Each gown from the collection has an element taken from Ash’s own dress, whether that’s embroidered silk chiffon or a ruffle tiered skirt. 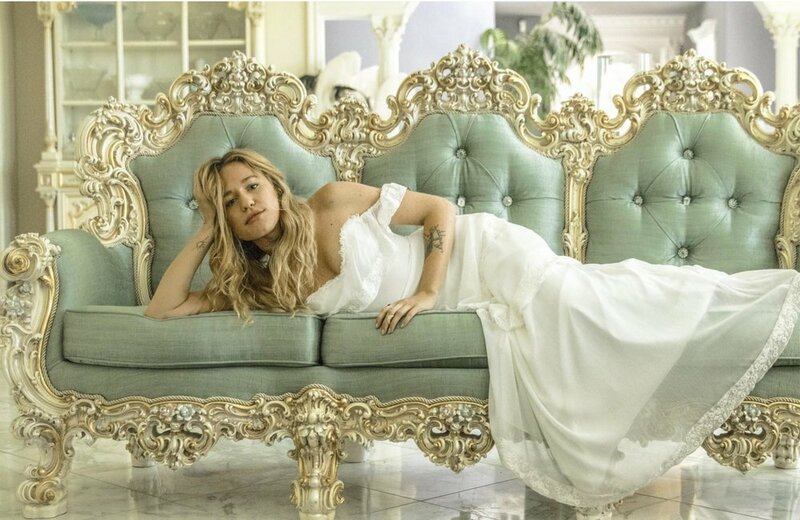 And as the OG bohemian bridal brand, DAYDREAM 2019 continues to give us all the relaxed boho feels. As well as a whole range of new gowns, the collection also has these UH-MAZE-ING pearl beaded bridal capes which Ash wore on her bridesmaids - such a cool way to get on board with the cape trend for 2019. Ash collaborated with modern bridal accessory designer A.B.ELLIE to design a custom range of headpieces and jewellery for her wedding. I’m so excited to say that we are also bringing this range to Archive 12, including the unbelievable golden vine crown worn by Ash. Our samples should be arriving before Christmas and you are gonna be blown away guys. Ash also collabed with cool bridesmaids brand Leave Her Wilder to produce stunning range of gowns in the most gorgeous rust and ochre tones. We are hoping to bring this to A12 too… watch this pace for more info. Our Daughters of Simone Trunk show is the biggest event in our calendar. Jan dates to be announced very soon - we also offer first dibs to those on our mailing list so make sure you are signed up to be the first in the know. We still work an appt only system during the trunk show so inevitably spaces are VERY limited, don’t miss out and make sure you are on the list! Be the first to know about our DOS trunk show dates and secure one of our exclusive appointments to see the full 2019 collection and 10% off all DOS orders. We promise not to slide into your inbox unless you ask us to. I know you guys are going to LOVE this new collection… and with a lead time of 4-5 months there is still plenty of time for all you 2019 brides to order your gowns by end of Jan. So for now feast your eyes on the LOOK BOOK and start your own daydream….